Winsor & Newton Professional watercolour range offers bright, vibrant colours and unrivalled performance. Watercolour more than any other medium relies upon the variable characteristics of the pigments used. Winsor & Newton Professional Watercolours use only the purest pigments, and are known for their brilliance, permanence and strength of colour. This beautifully crafted solid bamboo box contains a great selection of Winsor & Newton Artists' Watercolour 12 x 5ml tubes and accessories. 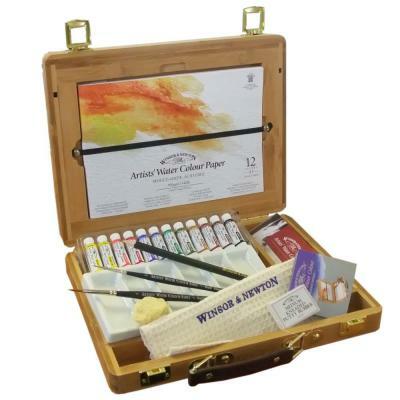 Making it the perfect gift for any watercolour artist. Beautiful box set of quality paints etc. Delighted with all the contents and all in such a beautiful box. 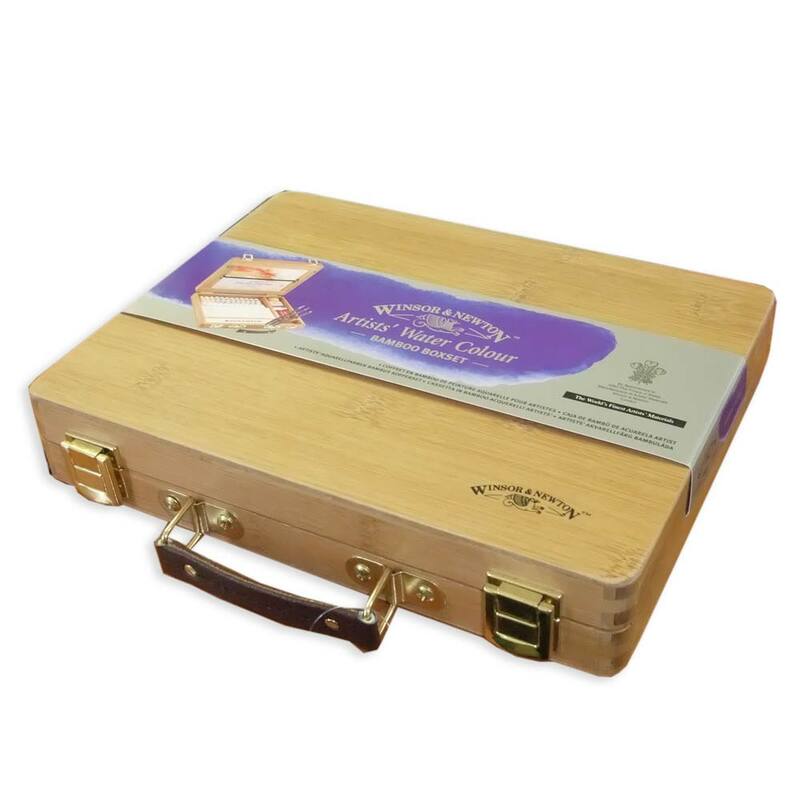 It is a very sturdy, solid box and is well finished. For info, the colours in the box matched the listing on the web site, with the exception of the white, I received 'Chinese White' instead of 'Titanium White' - No big deal as I don't use white!